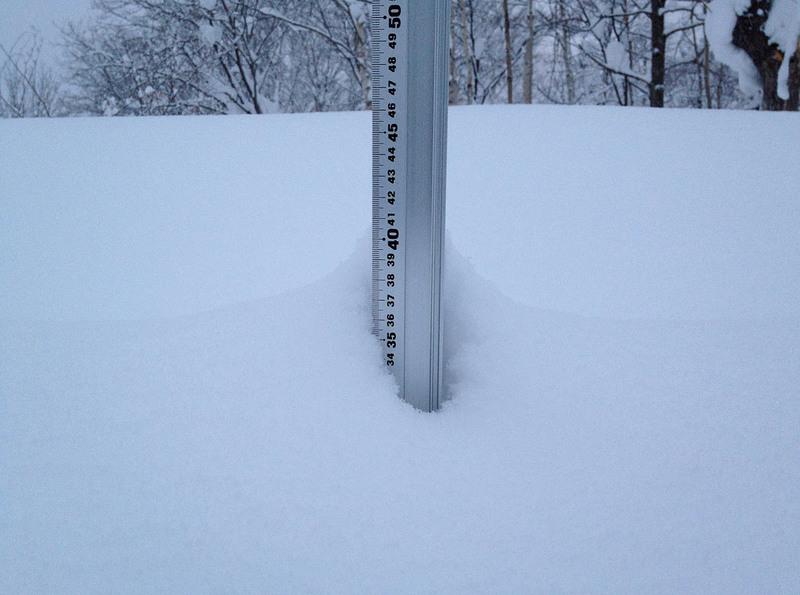 *7.5cm of fresh snow as fallen in the last 24hrs in Hirafu Village. At 07:00 today the temperature was -8°c and it is snowing heavily right now. The wild weather we experienced yesterday has subsided slightly but the wind is still strong so lift operations may be restricted to the lower mountain. This mornings very cold temperatures along with the wind have given the snow a very light texture and conditions on the mountain will be superb in sections however caution is advised due to the expected variable snow coverage.